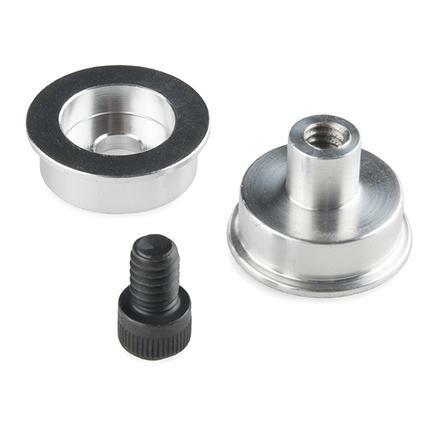 "This ball caster kit from Pololu includes a black ABS housing, a 3/8" diameter metal ball, two spacers (1/16" and 1/8" thick), and two #2 screw sets. 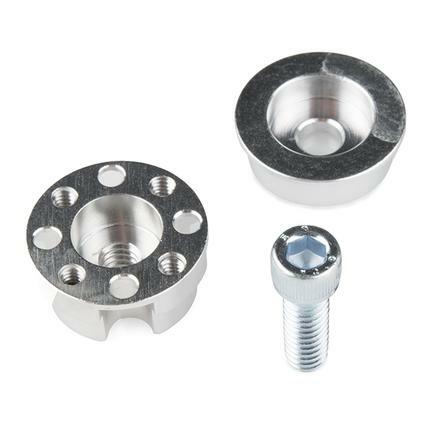 The total height of this ball caster is 0.4" with no spacers. 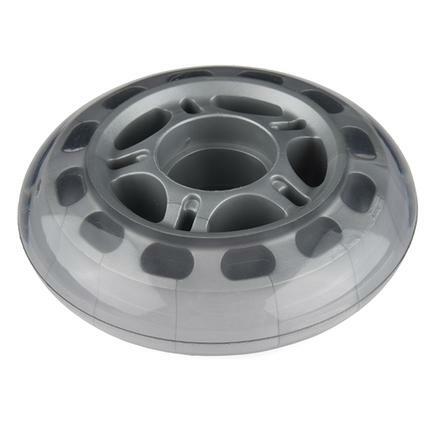 You can also adjust the height by adding the spacers. 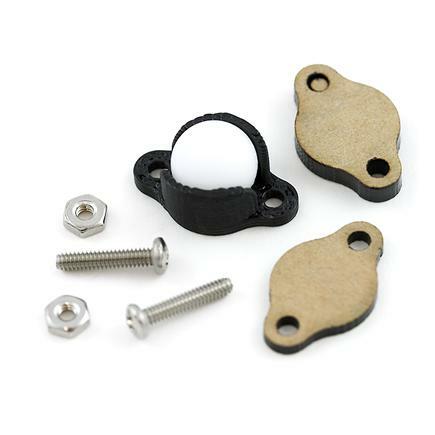 The ball caster can be mounted to a chassis by the two screw sets included in the kit. 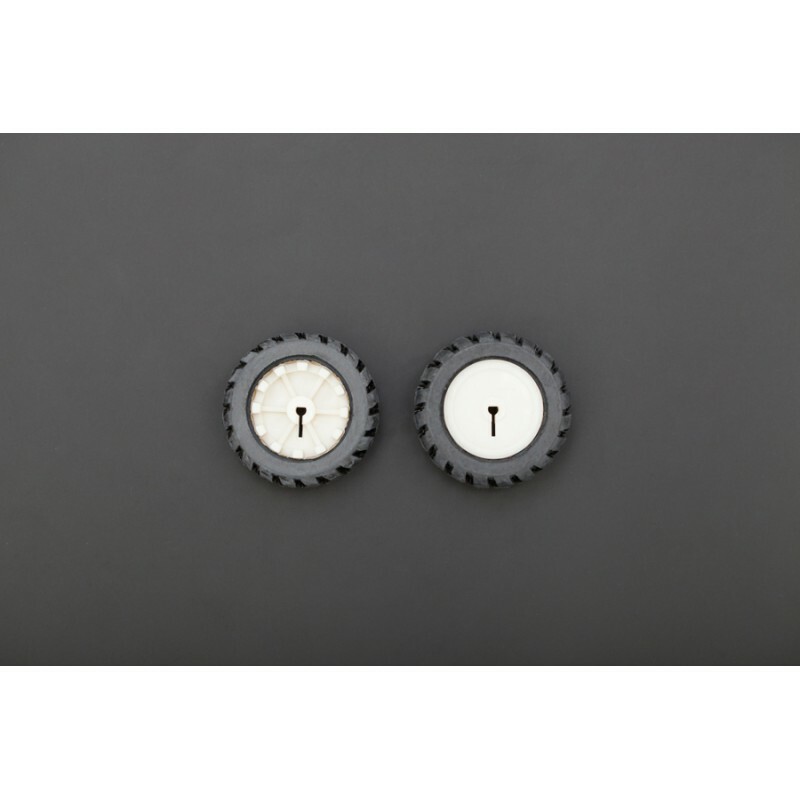 The distance between the two screw holes is 0.53"." 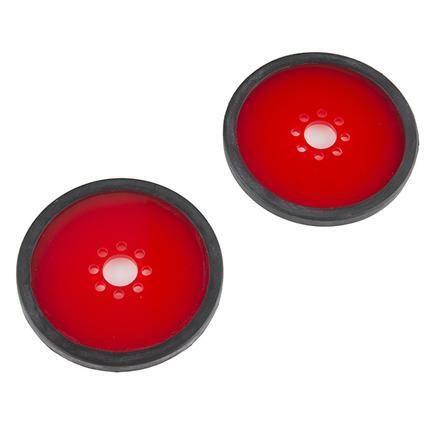 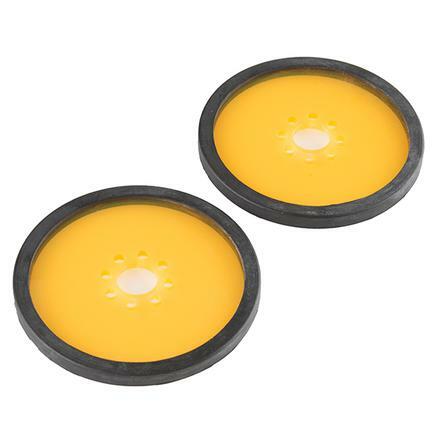 "This ball caster kit from Pololu includes a black ABS housing, a 3/8" diameter plastic ball, two spacers (1/16" and 1/8" thick), and two #2 screw sets. 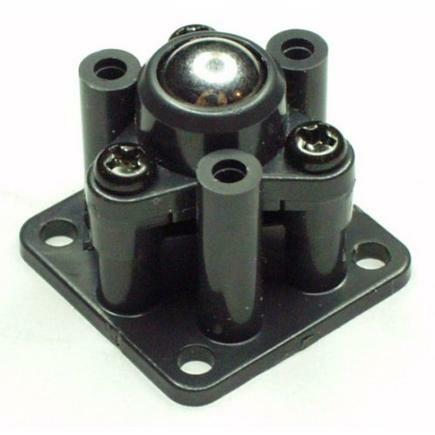 The total height of this ball caster is 0.4" with no spacers. 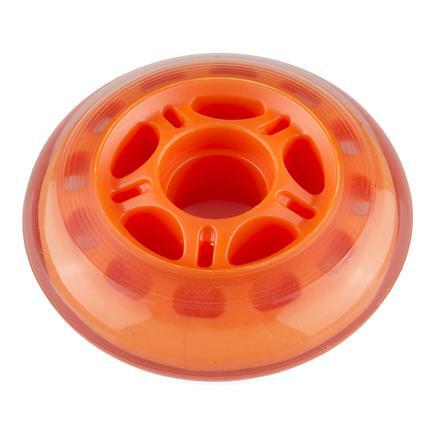 You can also adjust the height by adding the spacers. 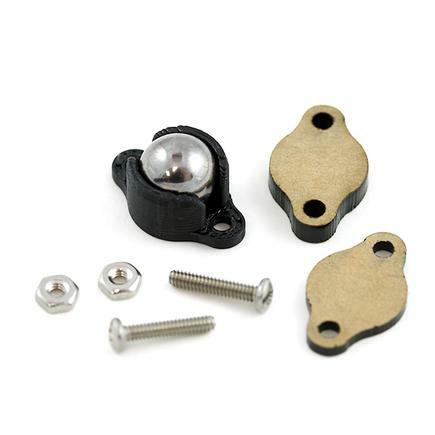 The ball caster can be mounted to a chassis by the two screw sets included in the kit. 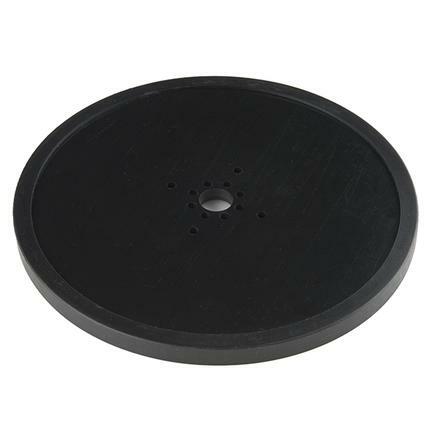 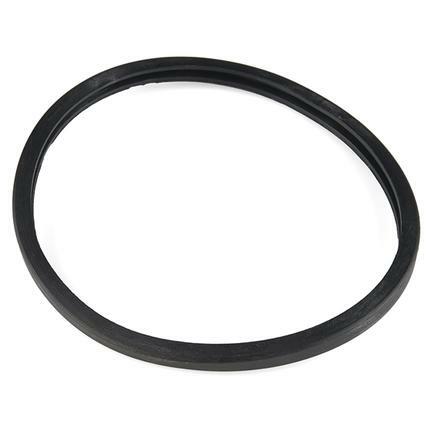 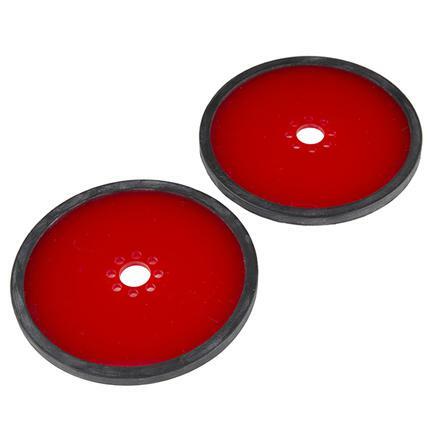 The distance between the two screw holes is 0.53""
"These lipped Rubber Rings have an inner diameter of 4.65", a width of 1/8", and a sturdy rubber sidewall. 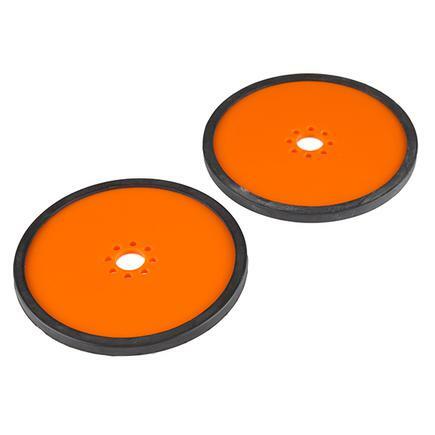 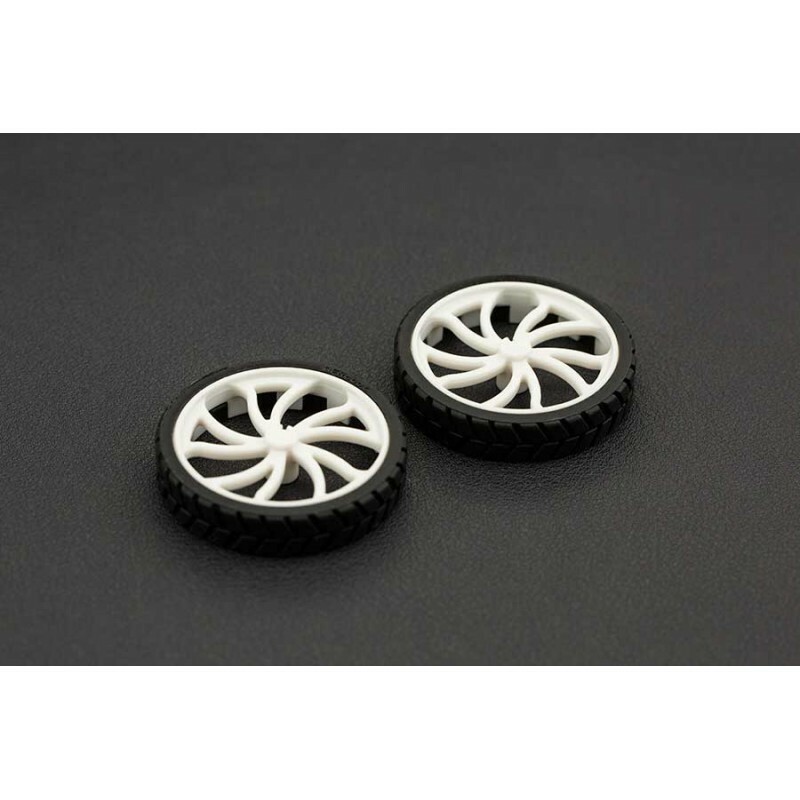 These rings can be used as a replacement for Precision Disk Wheels or can wrap around the outside edge of another flat disc to make the ring a simple tire. 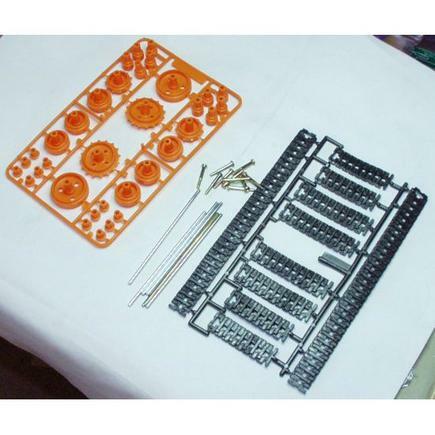 Dimensions: ID - 4.65" Width - 1/8" "
"Track set for tank treads. 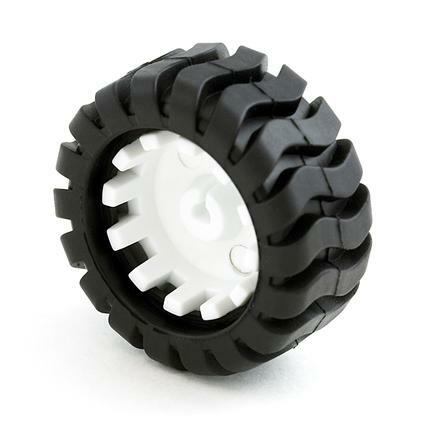 Use these treads to create your own tank setup. 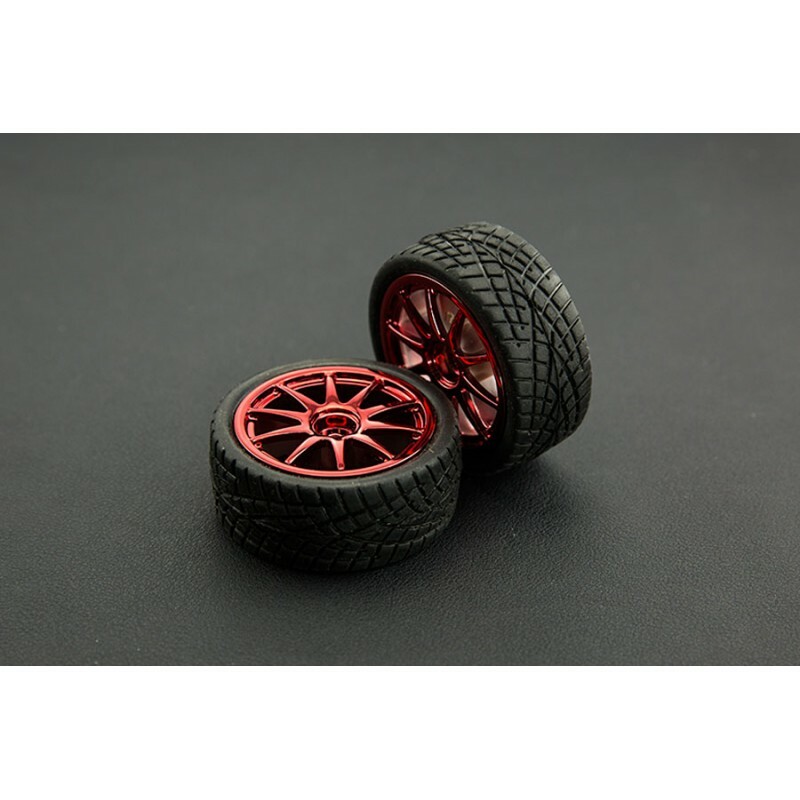 These work superbly with the Tamiya dual gear box. 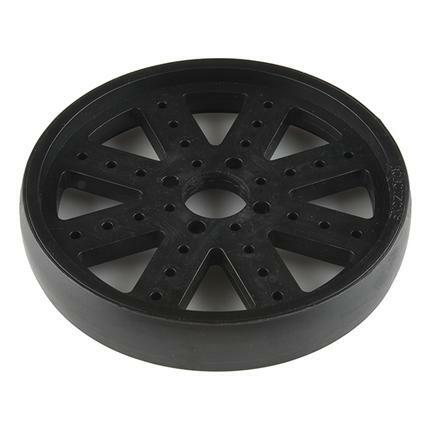 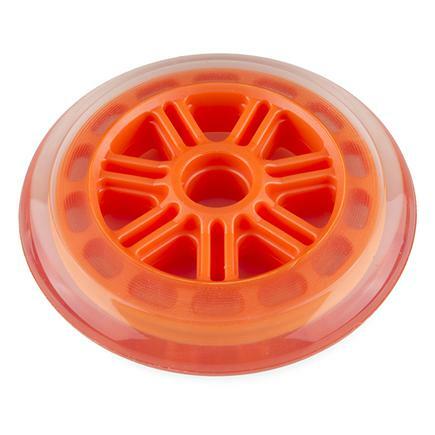 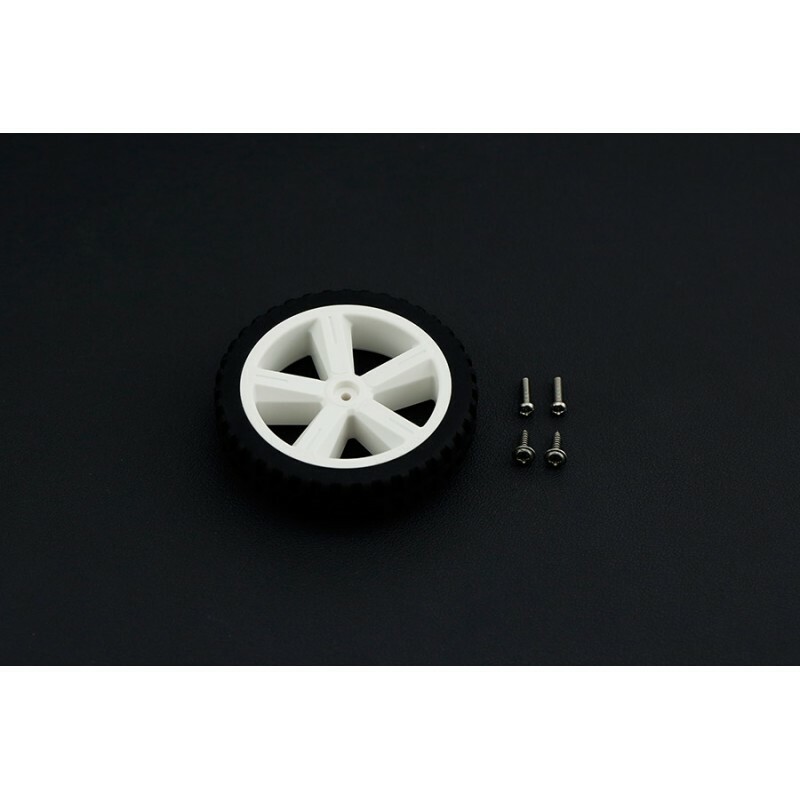 Comes with: 2 Tracks x 30 Links 2 Tracks x 10 Links 2 Tracks x 8 Links 2 Large Drive Sprockets 2 Large Idler Wheels 6 Large Road Wheels 10 Small Road Wheels Various Drive and Slip Shafts Various Screws and Hardware "
"This custom-designed plastic wheel from Pololu has a silicone tire measuring 1.26" (32 mm) in diameter and is designed to fit the output shafts on our micro and mini metal gearmotors as well as the Solarbotics metal gear motors. 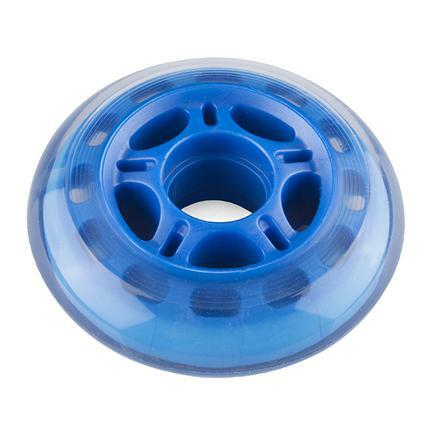 Both the Micro Metal Gearmotor Bracket and Extended Micro Metal Gearmotor Bracket will work with this wheel. 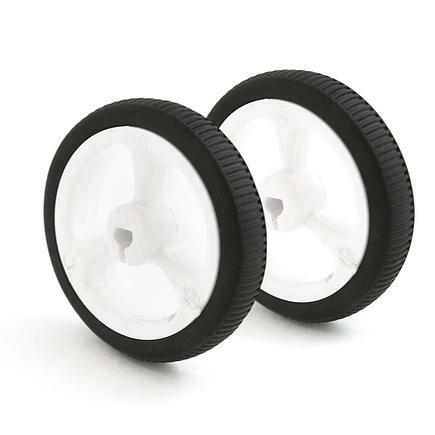 Sold as two wheels."